Cancer put a halt to those plans, with the disease ultimately taking Eddie’s life. The dream seemed lost until a “rocket” delivered by Peter’s mum and financial support from his family encouraged him to push ahead and realise a goal he had hoped to achieve with one of his best mates. 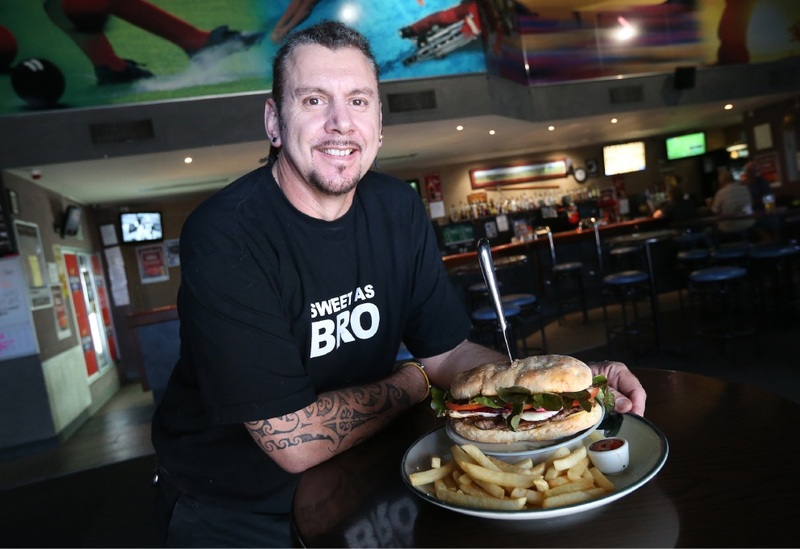 North Coogee’s Edz Sportz Bar is now one of three local venues among 60 competing for the Best Steak Sandwich title. Mr Staiger said the idea for his sandwich, which features toasted turkish bread, caramelised onion, cheese, marinated scotch fillet, two eggs, tomato, beetroot, lettuce and aioli, came to him in a dream featuring his dad. “He comes to me a lot in dreams,” Mr Staiger said. Mr Staiger said he took the recipe from his dream back to the kitchen where staff helped add the finishing touches – which included a touch of aioli. “You have to be pretty hungry to eat it,” he said. The Tradewinds Hotel in East Fremantle and The Harbour Master, located at the Esplanade Hotel Fremantle, are the other local venues in the running. Australian Hotels Association (WA) chief executive Bradley Woods said people had until midnight on Wednesday to vote for their favourite sandwich. “Steak sandwiches are an Aussie icon and a highlight of any pub menu. They pull together great ideas, home-style cooking, fresh local produce and beautiful Australian beef,” he said. “No matter where you are in WA, you can find a unique, delicious and fresh steak sandwich that represents great value for money.